The two former warring sides are now part of the state, and they are on the same side when it comes to evading being answerable to wartime crimes. Predictably, the UCPN(M) and the CPN-M are the least happy with the verdict of the apex court. In fact, the latest collapse of the negotiations over the constitution and the announcement of a series of strikes next month by the Maoist-led opposition alliance is an attempt to show this displeasure. Victims consent is required for both reconciliation and amnesty. One of the main dissatisfaction among victims was the provision in the Act which gave the TRC the authority to grant amnesty. 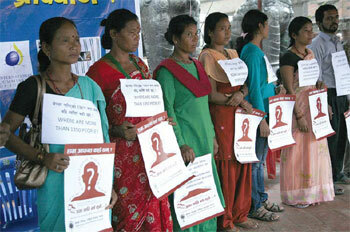 The SC verdict has ruled out the TRC’s role in general amnesty. Why do MPs always break the law?